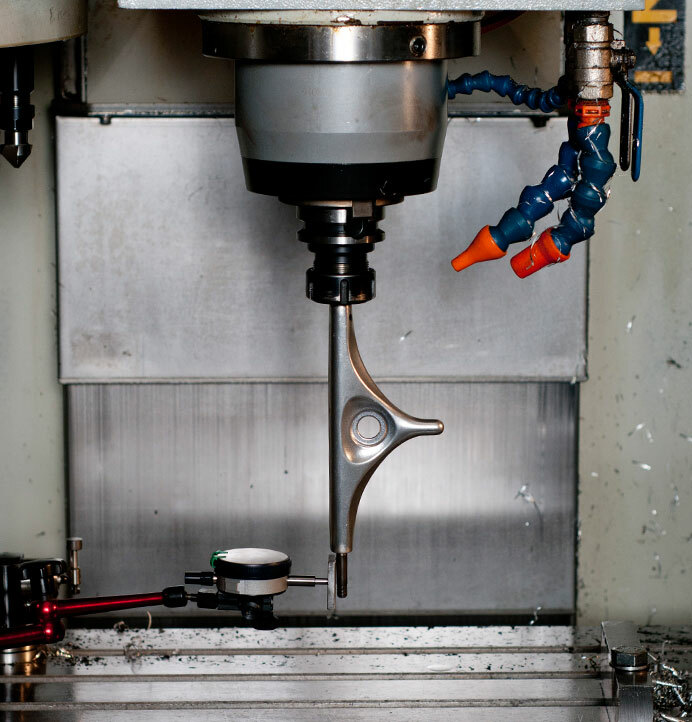 Despite the hype from other brands, we are one of very few truck manufacturers to use Gravity Casting. This is a specific casting process that allows the use of a stronger Aluminium alloy, a denser cast with fewer air bubbles, and a much cleaner surface finish. 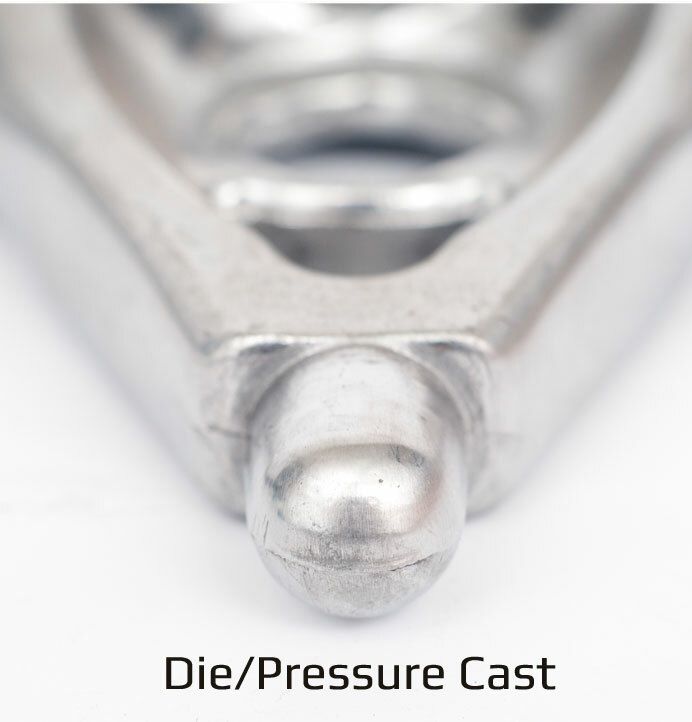 Gravity Cast vs Die Cast – what’s the difference? How can I spot a Gravity Cast Truck? Gravity casting is quite different to cheaper Pressure Casting – also known as Die Casting – that is used by most longboard truck manufacturers. It is more expensive to produce as fewer trucks can be made at a time, but allows the use of stronger aluminium alloys, with a smoother surface finish. The result is a stronger, less brittle finished truck. Molten Aluminium is hand-poured into the mould – as opposed to pressure casting where molten metal is injected into the mould under pressure. The mould is then inverted, allowing the pull of gravity to fill the mould cavities with molten metal. The mould fills slower under gravity than it would under pressure, which means fewer air bubbles and a more consistent metal density. The end result is a stronger, more consistent cast right through the truck. 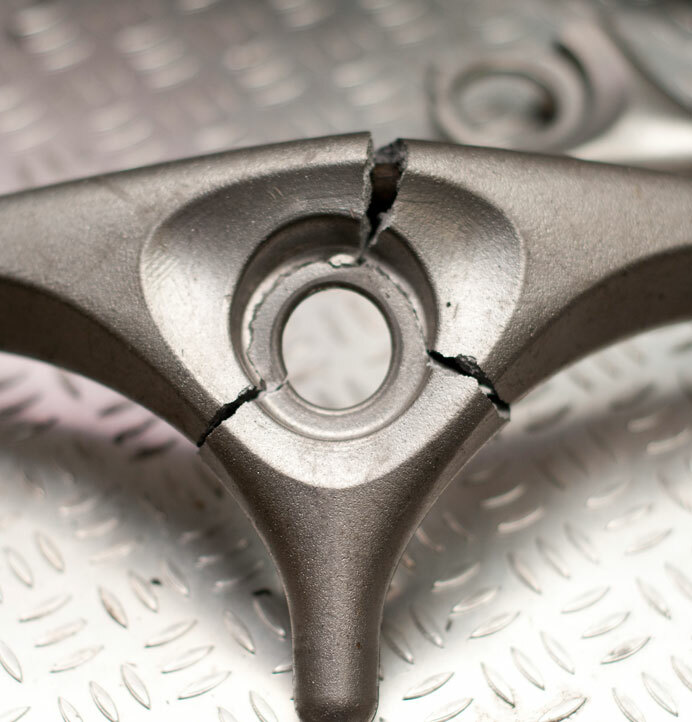 Gravity Casting allows us to use a stronger Aluminium Alloy. We cast our trucks with super-strong A356/LM25 aluminium alloy, not the less viscous (more “runny”) and weaker A380/LM24 aluminium which is used for Die/Pressure Casting. Gravity poured A356 is around 10% stronger than A380. Combined with our cast hanger design, with ample support and thick beam out to the axles, Sabres are one of the stiffest cast hangers on the market. We have confirmed this with our own lab testing. By subjecting trucks to forces way past what they would encounter in real life, we can easily see which trucks are made the way that they claim to be in their marketing. 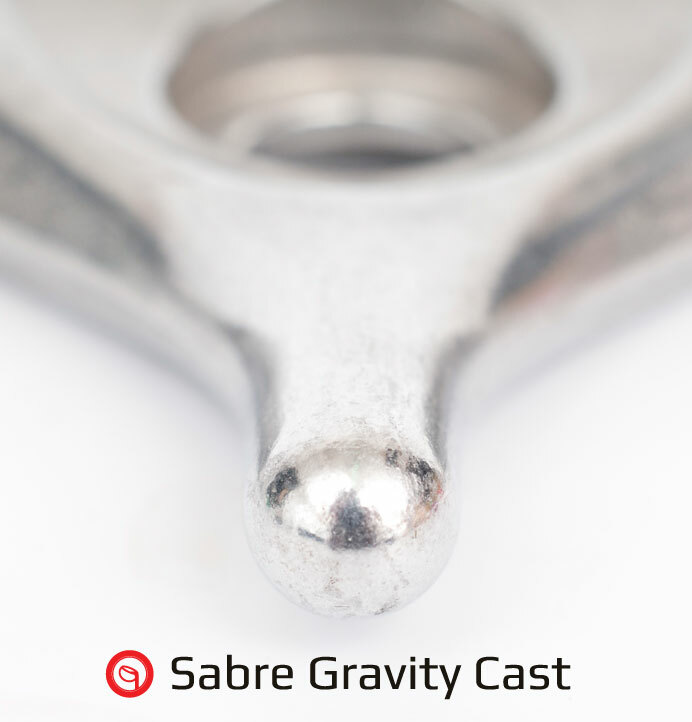 Sabre Gravity Cast hangers take a lot more to bend in real-world conditions than other cast hangers. We take our trucks way past the limit, so you don't have to. 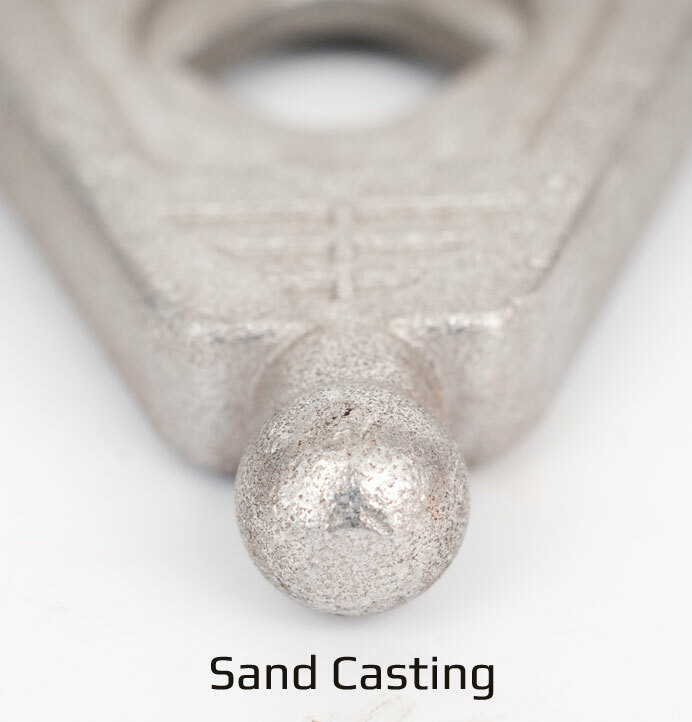 Gravity Casting produces a more precise finish than other methods. This is especially important at the pivot. 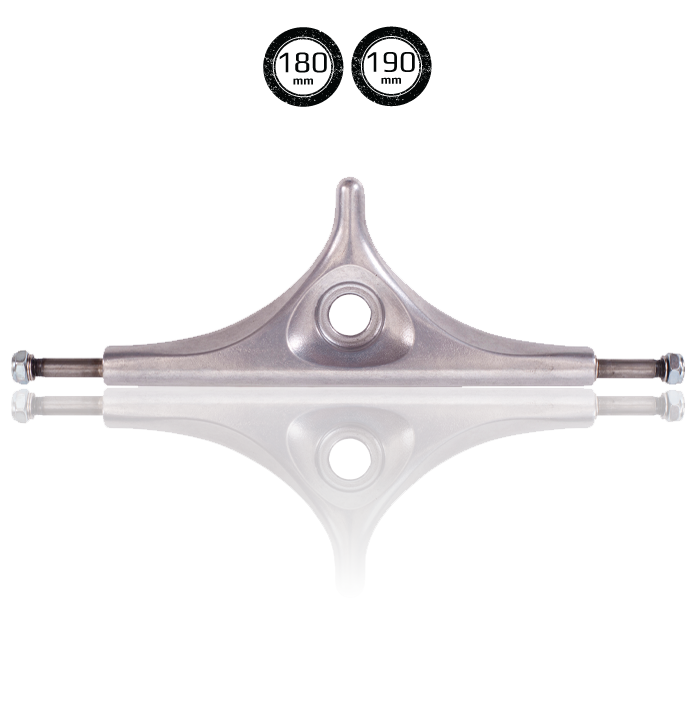 Gravity cast skateboard trucks can be cast using sand moulds (“Sand Casting”) or CNC’d steel moulds. However, sandcasting is out for us – the finish is not fine enough, especially at the pivot. Die casting also gives a rougher surface finish than Gravity Casting. It also tends to leave behind pronounced moulding lines, which need further work to bring the truck up to standard. 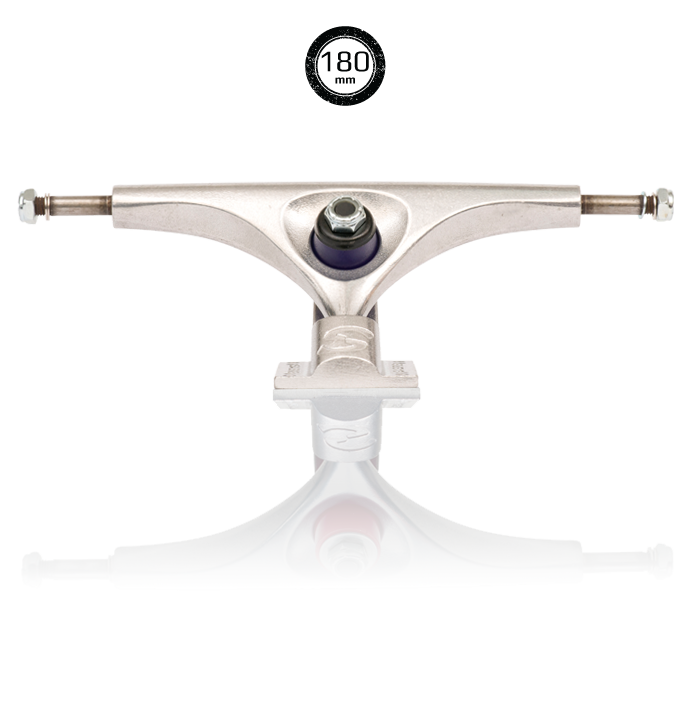 A rough pivot destroys the feeling of flow and a smooth turn that we expect from our trucks. So, we use CNC’d steel moulds – a more expensive option, but we feel the precision finish that is attained is worth the extra cost. Our pivots are smoother than other trucks – and this makes Sabre cast trucks turn more fluidly than the rest. 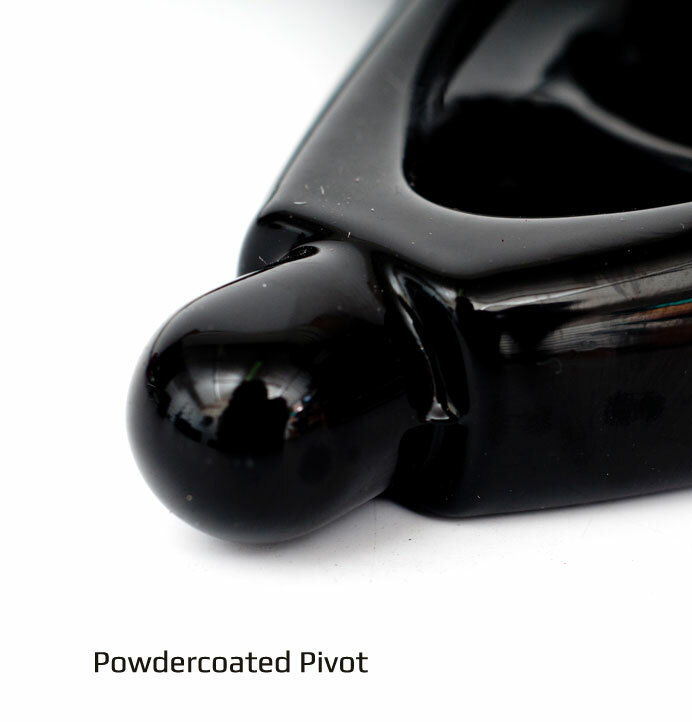 A lot of brands claim that they are using a Gravity Casting technique, when in fact they are using Die-Casting and disguising the finish with a painted or powdercoated finish. 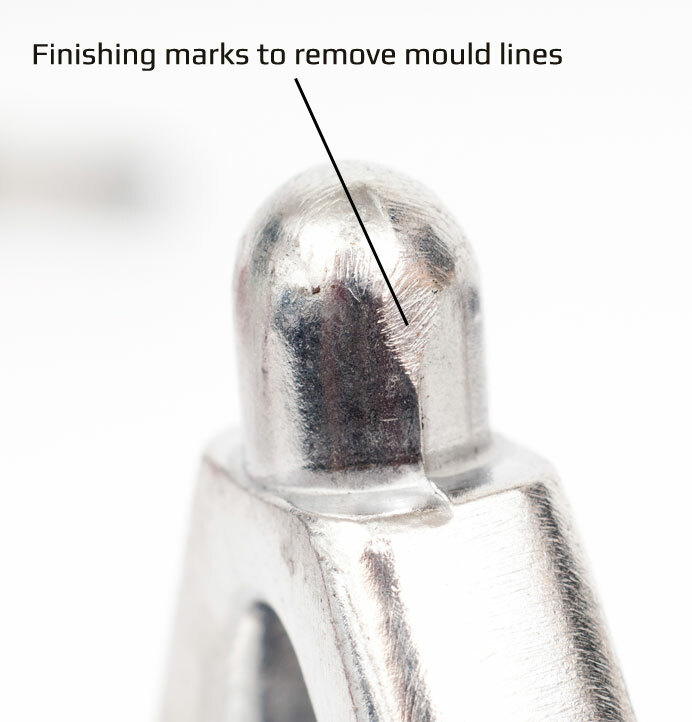 It is even possible to spec “Gravity Cast Finish” on a Die Cast product with some factories – we know, we’ve been there! It’s easy to spot once you know what to look for. First – detailed moulding. 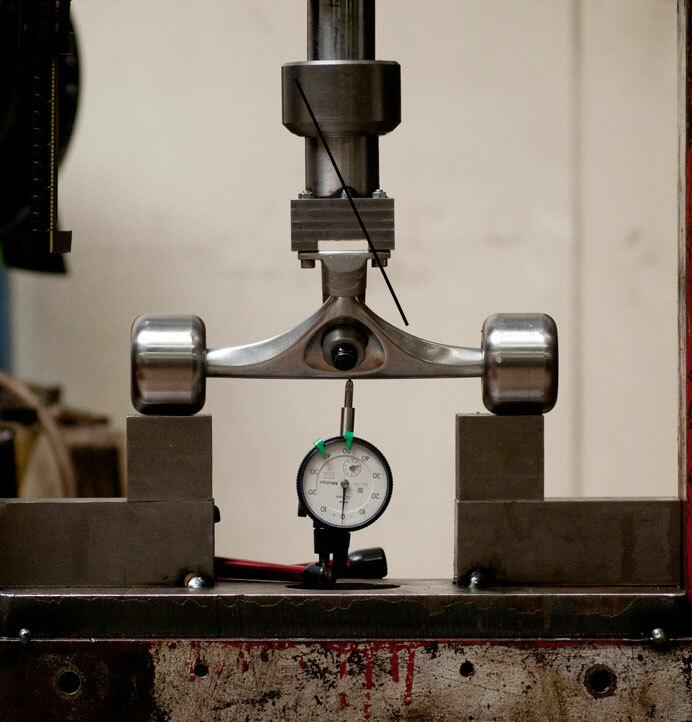 Whilst gravity casting produces a better surface finish, it’s not possible to get a level of super-sharp detail into a truck due to the more viscous Aluminium. Look at the logos cast into the baseplate – if they are super fine with lots of detail, your trucks are die cast. Second, finishing marks. 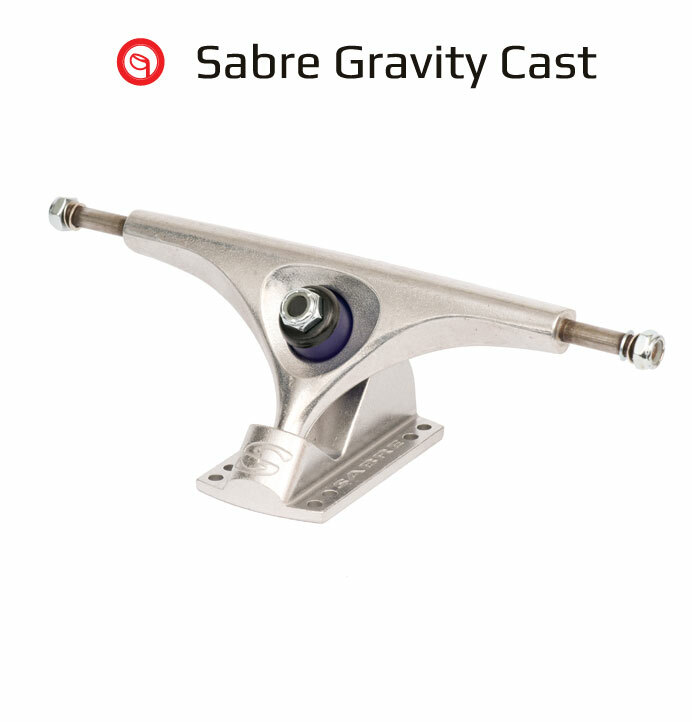 A Gravity Cast truck like the Sabre will not need any extra finishing – it’s perfect out of the mould. A Die Cast truck will inevitably require some tidying up after casting. Pivots are usually the best place to look for any extra marks. Third, powdercoating. Can you actually buy this brand’s truck in a raw finish? Is this brand trying to hide something? Powdercoating masks a badly finished truck – unfortunately it also ruins tolerances around the pivot area.